IMAX and Cineplex have partnered to launch a new IMAX VR experienced called ‘The Centre’ at Toronto’s downtown Scotiabank Theatre. The experience is located in the lobby of the theatre and features 360-degree sound, room-scale virtual reality interaction and is powered by the HTC Vive virtual reality headset. 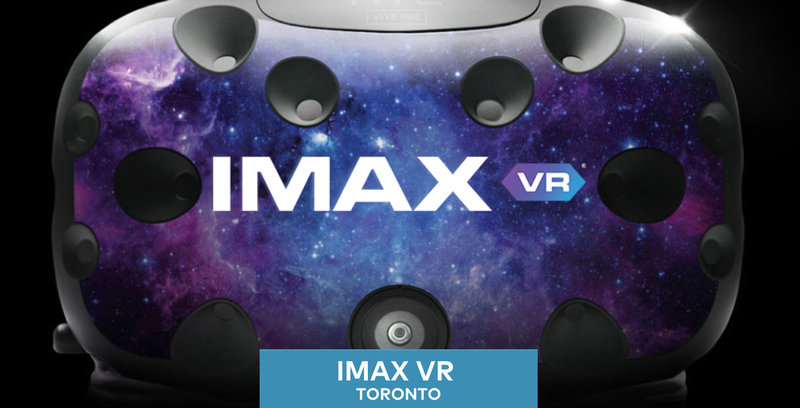 “We are excited to be launching Canada’s first IMAX VR Centre at such an iconic location as the Scotiabank Theatre Toronto with our longstanding partner, Cineplex,” said Mark Welton the president of IMAX, in a statement sent to MobileSyrup. The Centre features specially designed pods that allow users to move around freely while interacting with virtual environments. The experience can also be adapted for different circumstances, including single and multi-user support. “As one of our country’s leading entertainment destinations, we are always looking for new ways to evolve and offer a variety of innovative experiences to our guests,” said Ellis Jacob, president and CEO of Cineplex. IMAX is set to provide the centre with VR experiences, with each one being played via HTC’s Vive virtual reality headset and ranging between seven and 15 minutes in length. Current experiences include Ubisoft’s well-received Star Trek Bridge Crew Rescue at Perseph, Skydance’s Archangel, an exclusive IMAX Justice League experience, and more. Cineplex and IMAX’s The Centre joins other recently opened Toronto VR arcades like House of VR. Given how expensive high-end VR devices like the HTC Vive remain, it makes sense for high-end VR to be available in pay-to-play arcade style spaces like The Centre until the technology becomes easier to use and more affordable. Tickets for all available IMAX VR experiences can be purchased on-site at The Centre. The price for each experience differs, according to Cineplex, ranging between $10 and $15.